Another T&T fave from this book that I've been making for years but somehow neglected to mention above is the Fettuccine Alfredo w Asparagus. This is a dish we look forward to making as soon as the first asparagus of the season is available and, it never fails to impress. Just fabulous as is. Last night we had it w baby shrimp and we also love it w smoked chicken. This is a terrific book. All recipes are accompanied by a photo and, a wine recommendation. 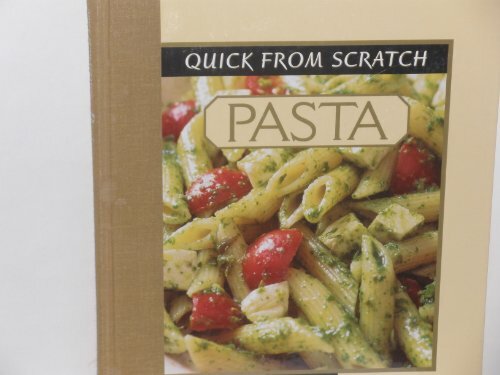 We love pasta and wine so this book has been well used!! All recipes have been true to the book title's promise...quick and easy. Some favourite recs include: Bow Ties w Sun-dried Tomato and Scallion Cream, Penne w Salsa Verde, Mozzarella and Cherry Tomatoes, Fedelini w Tuna and Chickpeas (amazing! ), Whole Wheat Spaghetti w Sausage and Peppers, Cavatappi w Chorizo and Black Beans, Rotelle w Bacon, Watercress and Cherry Tomatoes and Rigatoni w Sirloin and Gorgonzola Sauce. Very nice simple, fast, weeknight dinner. Has a lot of flavor for something so basic, was really good with a fresh asparagus side salad for a complete meal. It did need more salt than in the recipe to really bring out the flavor.